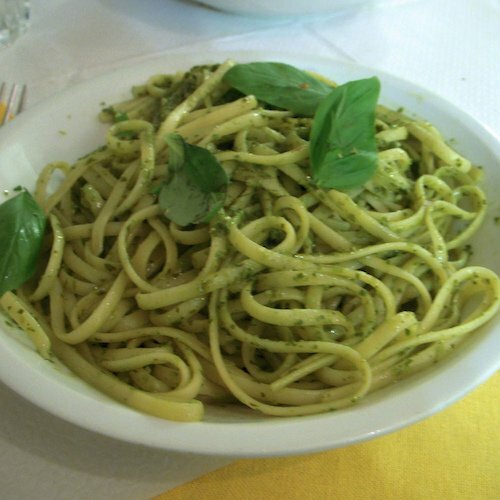 From the Kitchen: Pesto Pasta | Stahancyk, Kent & Hook P.C. This springtime dish combines the yearning for the fresh produce of summer with the need for comfort food during spring’s chilly evenings. Combine the basil, garlic, pine nuts, salt and pepper in a food processor. Pulse until coarsely chopped. Add the olive oil, lemon juice and cheese and process until just incorporated, leaving the consistency slightly chunky. Taste and adjust seasoning. Immediately toss with hot pasta and a little pasta water. Serve with extra Parmesan on top. Enjoy!